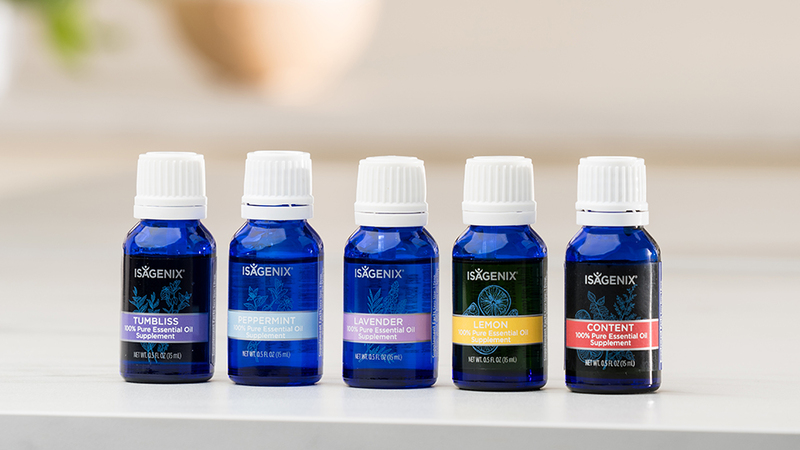 We’re all about essential oils right now, especially since we launched our very own line, the Essence by Isagenix Essential Oil collection. But, the art of using essential oils isn’t new. Despite the recent spike in popularity, this practice has been around for centuries. 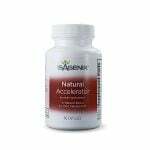 In fact, Isagenix has been harnessing the power of botanicals for more than 16 years. 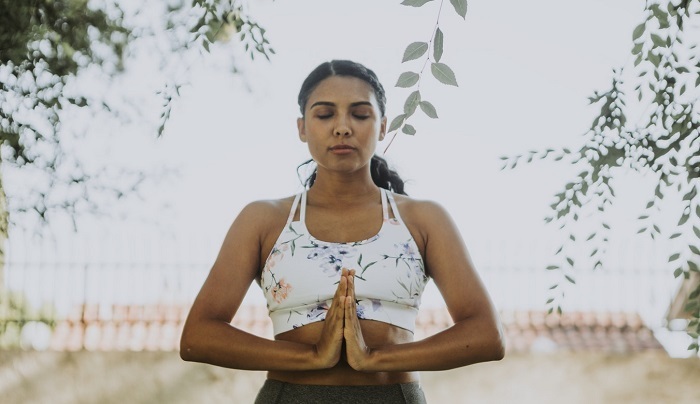 You can use essential oils in countless ways — aromatherapy, homemade cleaning supplies, and finding your Zen, just to name a few — but have you considered using them to support healthy habits during weight loss? 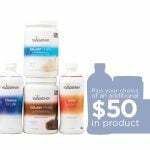 We want you to go into your weight loss journey with every possible advantage, so we’ve created a targeted System Support Oils Bundle for you. 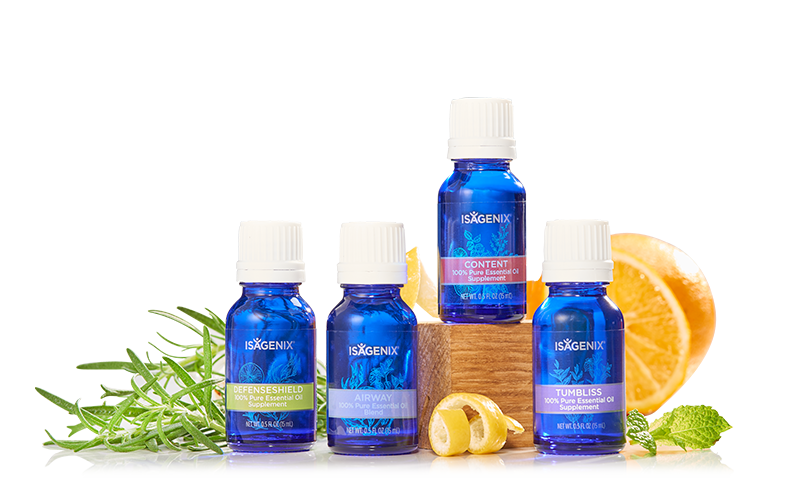 Ahead, you’ll find the five oils that make up this bundle along with instructions on how to use them. A blend of eucalyptus, lemon grass, grapefruit, and many other popular oils, Isagenix Content Essential Oil Blend helps promote feelings of satisfaction and satiety.† The perfect way to kick your hanger? 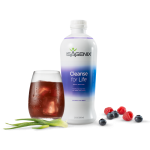 Add one drop of Content to Cleanse for Life®, or diffuse it on Cleanse Days. 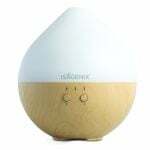 Start each day feeling refreshed and energized with this uplifting fragrance. 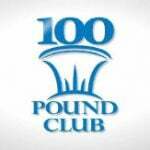 It can help put you in the right mindset to go after your weight loss goals and stick to your wellness routine. 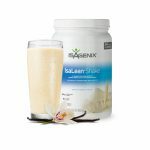 Plus, Isagenix Lemon Essential Oil adds a citrusy kick to any IsaLean® Shake or Cleanse for Life. 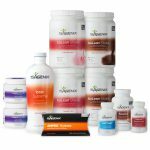 At Isagenix, we take digestion seriously because we know how crucial it is for overall wellness and weight loss. 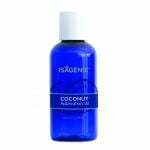 Add one drop of Isagenix TumBliss Essential Oil Blend to warm water for digestive system support†, or mix it with Isagenix Coconut Application Oil and apply it to your skin for daily comfort. Getting solid sleep every night is an important step in your weight loss journey (and in keeping you sane). Add a drop before bedtime for sleep support†, or rub Isagenix Lavender Essential Oil on the bottom of your feet to help you relax and unwind before hitting the hay. 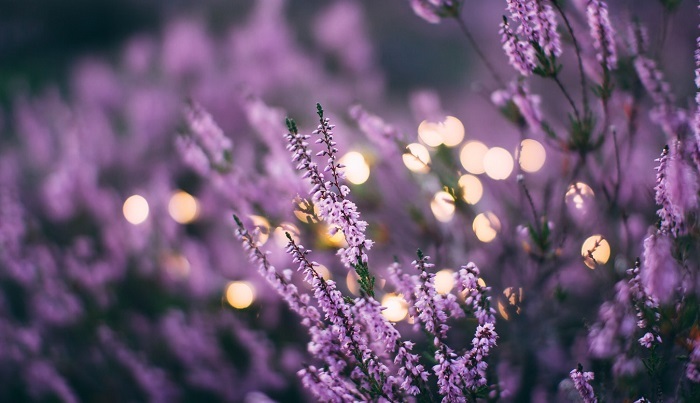 There’s a science to everything, even the ancient art of using essential oils to help you feel your best. 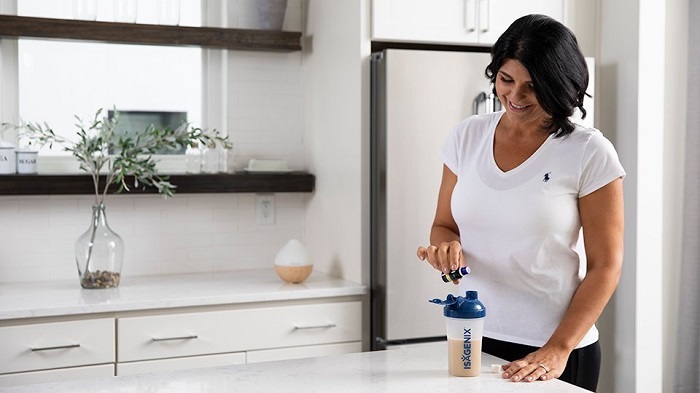 We’re committed to bringing you all the benefits nature has to offer so you’re covered during your weight loss journey. 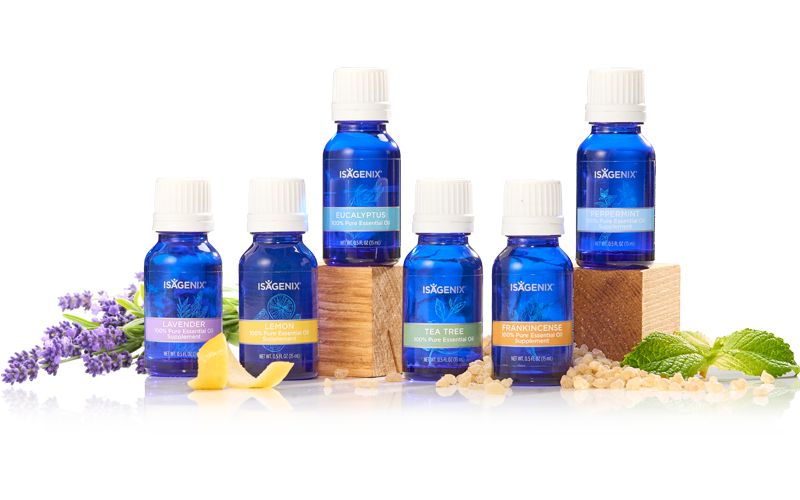 You can learn more about the Essence by Isagenix Essential Oil collection in our toolkit. 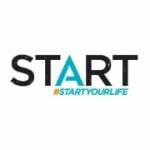 Our Research and Science team has also compiled a list of commonly asked questions and answers here. 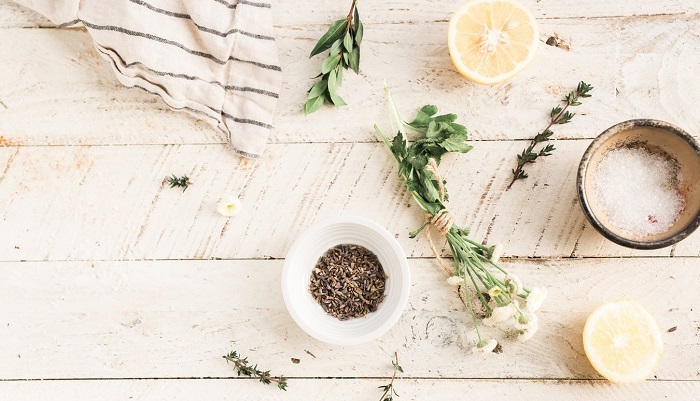 The post 5 Essential Oils for Healthy Habits During Weight Loss (and How to Use Them) appeared first on Isagenix News – IsaFYI.com.